Dealing With Tooth Infection During Pregnancy: What to do ? Tooth infection during pregnancy (abscess) is not so rare and it is caused by hormonal levels changing. While pregnant, many women experience gum swelling and bleeding. Soreness and swollen gums may cause pregnancy gum disease. Dental plaque trapped underneath the gum line, instead, causes tooth decay development that can leads to dental infection. When pregnancy tooth infection occurs, future moms ask them self the same question: is it safe to treat gum and teeth disease during the expectant period. Should I postpone after baby delivery ? Dentists always recommend to treat an abscessed tooth even during pregnancy to avoid the infection to spread and cause more serious health problems. Non-essential dental work such as teeth whitening or cosmetic dentistry treatments should be postponed after baby birth. If you are pregnant or you think you are waiting for a baby but you are not completely sure, let your dentist know about your condition. Some dental works and related medication might have a large impact on your health and on your baby. How dentists cure pregnant women abscessed tooth ? What about X-rays to evaluate the prognosis ? First of all, dental infection diagnosis requires the dentist to take x-rays exam to evaluate the infection extension. Pregnant women always worry about x-rays because they think radiation may affect the fetus development especially in the first trimester. According to the American College of Radiology (https://www.acr.org) dental x-rays exam involves an extremely low radiation amount that is not dangerous for the baby. Nevertheless, here is an additional precaution: the dentist or the nurse will cover the belly of the pregnant patient with a leaded apron that will acts as a barrier decreasing even more the radiation quantity that will reach the fetus. In order to maximize the future mom protection during dental x-rays exam, the throat will also be covered with a leaded collar to protect the thyroid from radiation. Is endodontic treatment safe while pregnant ? In order to treat pregnancy tooth infection as well as the conventional one, the dentist has to perform the endodontic therapy (also known as root canal treatment). The root canal procedure by itself is nothing to worry about. The clinician will create a small opening in the natural crown to get access to the dental canal. Using different endodontic files, the dentist will remove the infected tissue that causes the dental infection. the cleaned and disinfected canal will be sealed. A prosthetic crown will replace your natural one if necessary. third, the mom discomfort on the dentist chair during the procedure. Lidocaine is the most used anesthetic agent for dental work and despite being able to pass the placenta after administration, it is considerated safe. When Lidocaine is mixed with epinephrine, some pregnant women may have cardiovascular side effects. In fact, fast heartbeat may lead to hypoxia of the fetus but it is a very rare case. Dental anesthesia can cause some minor issue while breastfeeding because it change the taste of the mom milk. What about antibiotics used for abscessed tooth ? Endodontist usually prefer to prescribe oral antibiotics before to proceed with endodontic therapy. Antibiotics are necessary to completely destroy bad bacteria that cause the pathology. The most used antibiotics for tooth abscess are amoxicillin and clindamycin. These antibiotics are labeled as “category B” meaning that they can be used by pregnant women before, during and after the root canal procedure. In case of severe pain before or after the tooth infection treatment, anti-inflammatory drugs such as Aspirin or ibuprofen are not safe while pregnant. You should ask your dentist what’s the best over the counter pain killer in your condition. How to relieve mom’s discomfort on the dentist chair ? Pregnant belly may limit the movements a woman can do. The best time to get your dental work done is during the second trimester till the first 15 days of the third trimester). Supine position while on the dental chair may lead to a loss of consciousness because the poor blood supply caused by the baby position. In order to avoid this problems, the dentist can use a pillow to elevate the right hip of the mom. Keeping a good oral health during the whole pregnant period is crucial to avoid you to feel pain, discomfort and costly treatments after baby birth. Since hormonal levels changes will modify the quality and the quantity of your saliva decreasing its fluidity, physicians always recommend women to drink more water in their pregnant period. Water will help to wash away food particles from between teeth limiting caries developing and pregnancy gum disease. 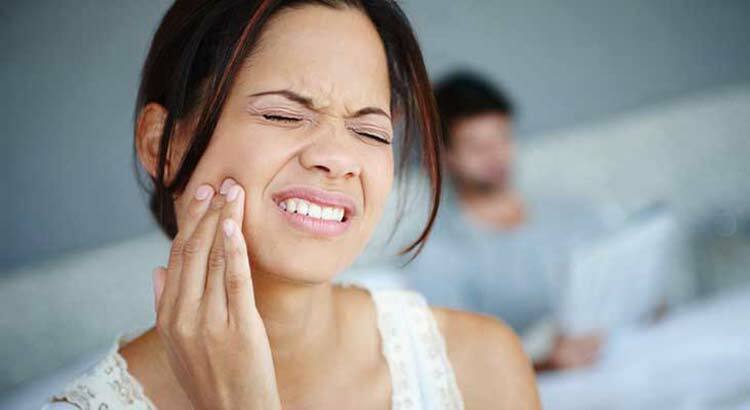 If you feel any tooth abscess symptoms, such as a fever, swelling, pain or pus drainage, call immediately your doctor or dentist to set an appointment to solve the condition as soon as possible.